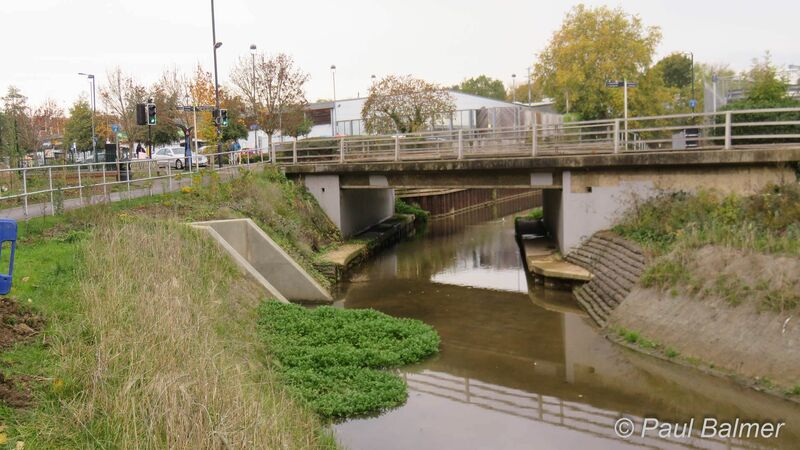 The bridge carries Stafferton Way over the York Stream on the southern edge of Maidenhead town centre. The construction of a lock and weir to the south of here will raise the water levels to give enough depth of water for navigation. That will, however, reduce the headroom under this bridge, and several others of similar height. Navigation will be restricted to small craft by either the shallow water depth, or the small headroom whatever the final water level is.